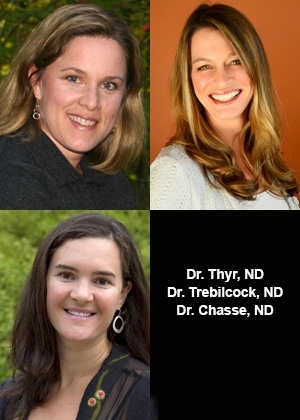 Session 1: Dr. Sara Thyr, ND: Infertility: Naturopathic Solutions for Male and Female Infertility: This presentation will cover the evealuation and management of male and female infertility in the naturopathic medical practice. The presentation will include evidence-based therapeutic treatments, including nutrition and supplements. Attendees will be able to identify and treat underlying factors that contribute to female and male infertility. Attendees will understand specific testing that may not be done traditionally but that can have profound impact on fertility. Attendees will understand complete evidence-based programs for couples trying to conceive, including important nutrients, food allergy and detoxification. Session 2: Dr. Tamara Trebilcock Ackerman, ND: Introduction to In-Vitro Fertilization & Naturopathic Support: This lecture will review the IVF process and describe how naturopathic doctors can support this process. The presentation will focus on conventional diagnostic techniques, medications used, options included in IVF (assisted hatching, ICSI, TESE/TESA, MAPS embryo selection, etc.) timelines, terminology, as well as naturopathic treatment support. Attendees will understand conventional diagnostic techniques for infertility, the process of conventional IVF procedures, medication use in IVF procedures and evidence-based nutritional and supplemental approaches to support the care of patients undergoing IVF. Session 3: Dr. Jacyln Chasse, ND: Evaluation & Management of Recurrent Pregnancy Loss: This presentation will review the evaluation and and management of recurrent pregnancy loss. We will discuss how and when to evaluate a couple with recurrent miscarriage and the most common causes of miscarriage. We will review the conventional and naturopathic approaches to reduce miscarriage risk during pregnancy. Attendees will understand when to evaluate for recurrent pregnancy loss, become confident in determining the underlying cause of miscarriage and learn evidence based treatments for both partners in the preconception and prenatal periods to decrease the chance of miscarriage. A very good review of all naturopathic resources available to help with fertility. This was an excellent presentation. I will be able to start using this information to help my patients immediately. Thank you. It was incredibly thorough, covering laboratory testing, conventional medical approaches, and my favorite --> effective naturopathic treatments, which keep the root cause in mind. Great clear information, useful in my practice. Good layout of the options for fertility-challenged couples. Detailed, easy-to-understand information on IVF - very useful for me! There was a lot of new information given in this presentation on IVF which will be very useful for me at my practice as many of our patients come for IVF and infertility support. All presentations worth spending a Saturday on! Thank you for this very thorough and practical information that I can use right away. Excellent! Wow! Getting pregnant is AMAZING! Thanks for the reminder of ALL the things that must happen. Going through embryology was helpful... there is always new information and it truly is a miracle that women have babies all the time. Thanks for the handy supplementation regime.